What's yellow, grey, and sparkly all over? The new LCY! You may have noticed your favorite blog got a makeover. No no, don't click over to your favorite blog. That's just mean. I am talking about this blog! My sister told me I needed to go bigger and better with my blog header. (Thanks, a lot, sis.) Of course, I liked my previous header. But I can't think of a time in my life when I didn't take my big sister's advice. After all, sisters never lie. So, I thought about what she said... and this is how I responded. I also offer logos, buttons, Etsy headers... you name it - Photoshop, Illustrator and I can do it. The process is as collaborative as you want it to be. Send me a zip file of inspiration images to work from, or tell me your favorite color and I'll run with it. I'm not going to lie - makeovers are fun! CrystalG_: in love with @LCYblog 's new blog design! you can never go wrong with sparkles! 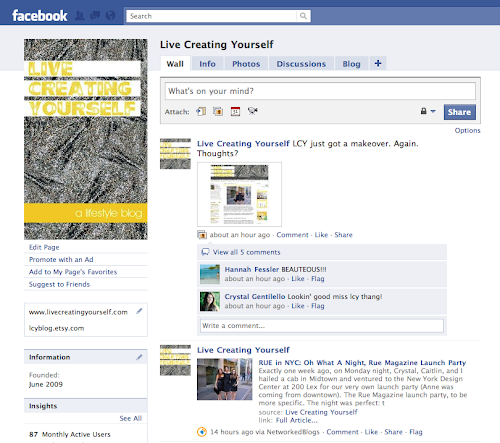 @LCYblog LOVE, LOVE, LOVE the new blog design! It's 100000% you! 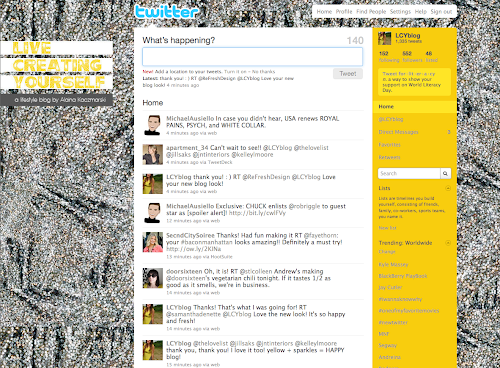 ECmothdesign: @LCYblog SWEET new look! justagirlLaura: @LCYblog I LOVE it! 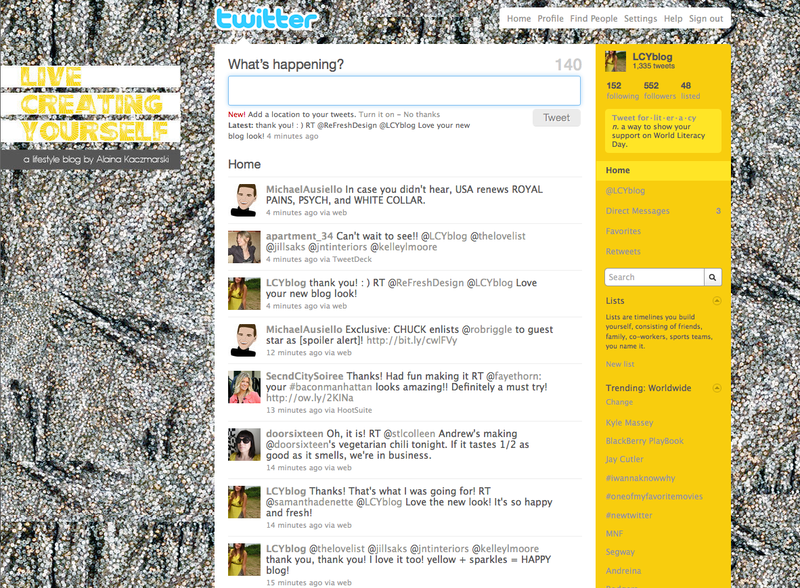 I can't get over the header -- it's fantastic! 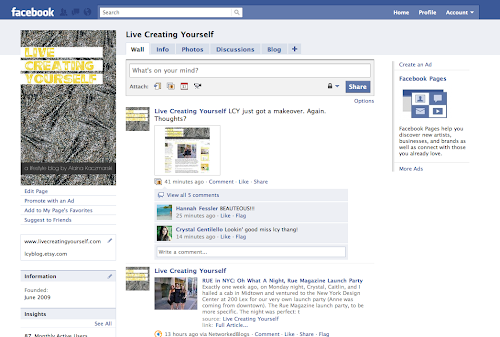 ReFreshDesign: @LCYblog Love your new blog look! 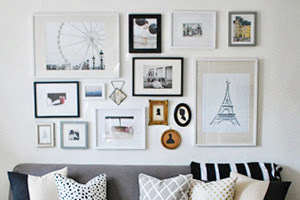 samanthadenette: @LCYblog Love the new look! It's so happy and fresh! nikkirap: Best tweet ever. RT @kelleylmoore: @LCYblog I LOVE SPARKLES. kelleylmoore: @LCYblog I LOVE SPARKLES. maggieroseblog: @LCYblog Ooh love it! TheLoveList: @LCYblog Yellow! SO fresh! 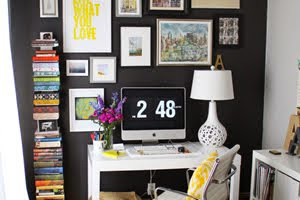 JillSaks: @LCYblog Love the new blog makeover. It is perfect! I am really loving your new identity! As a graphic designer myself, I know how big a deal it is to recreate work for yourself! I really love how you incorporated the glitzy texture while maintaining a very graphic feel with the type-- love. Great job! CONGRATULATIONS on having a dream come true (with Rue, that is:). Love the updated and edgy look. I will definitely be e-mailing you! How on earth did you have time to do this? oh well...next run i will..note to self! 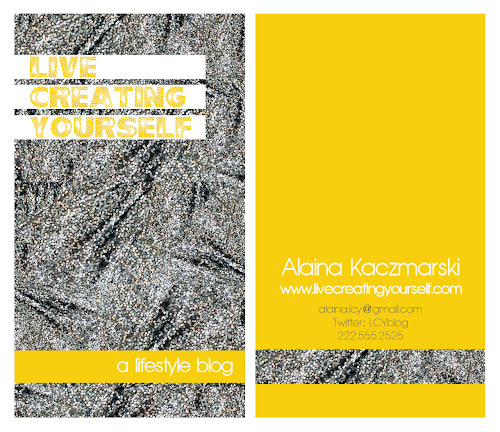 If you don't mind me asking...did you use Century Gothic as the font for the line that says "a lifestyle blog by Alaina Kaczmarski"? I've been looking for a nice, crisp font! 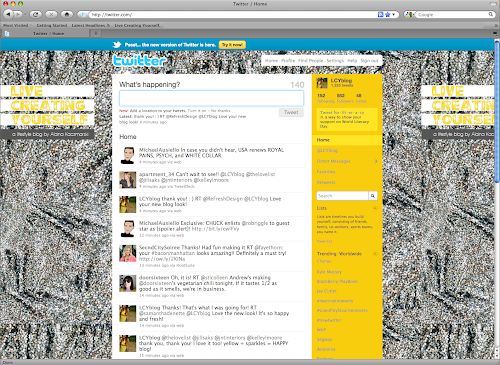 LOVE LOVE LOVE THE NEW LOOK! !Cute Color combo as well!! the makeover looks FABULOUS! one of my most favorite color combinations is yellow and gray.. and with a little dash of sequins - you can't go wrong! xo!